Mild stress stimulates the activity and heat production by brown fat associated with raised cortisol, according to a study published in February 2016 in Experimental Physiology. A release from the Physiological Society notes that brown adipose tissue (BAT), also known as brown fat, is one of two types of fat found in humans and other mammals. Initially only attributed to babies and hibernating mammals, it was discovered in recent years that adults can have brown fat too. Its main function is to generate body heat by burning calories (opposed to white fat, which is a result of storing excess calories. People with a lower body mass index (BMI) therefore have a higher amount of brown fat. To induce a mild psychological stress, five healthy lean women had to solve a short math test in the first run, but in the second run, the test was substituted with a relaxation video. To assess stress responses, the scientists measured cortisol in the saliva. To measure the activity of brown fat, the researchers used infrared thermography to detect changes in temperature of the skin overlying the main area of brown fat in humans (in the neck (supraclavicular) region). 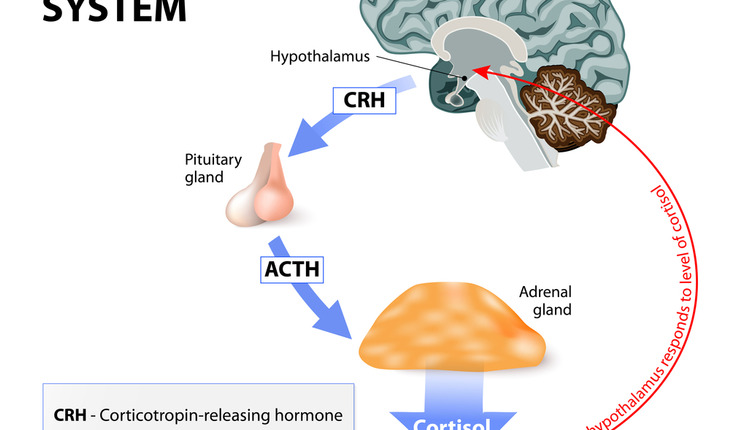 Although the actual math tests did not elicit an acute stress response, the anticipation of being tested did, and led to raised cortisol and warmer brown fat. Both were positively correlated, with higher cortisol linked with more fat activity and thus more potential heat production. The release quotes Prof Michael E Symonds from The School of Medicine, University of Nottingham in the UK and Co-author of the study as saying, “Our research indicates that the variation in brown fat activity between individuals may be explained by differences in their response to psychological stress. This is important as brown fat has a unique capacity to rapidly generate heat and metabolize glucose. Most adults only have between 50-100 g of brown fat but because its capacity to generate heat is 300 times greater (per unit mass) than any other tissue, brown fat has the potential to rapidly metabolize glucose and lipids. There is an inverse relationship between the amount of brown fat and BMI, and whether this is a direct consequence of having more active fat remains to be fully established.